Have you ever gotten to meet someone that inspired you as a kid? Obviously not a family member, but a musician, writer, politician or someone like that? Well, I recently had the pleasure of doing just that. 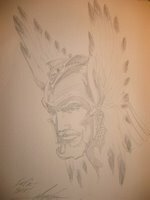 I met a comic book artist who I was a huge fan of growing up, Mike Grell. He was the first artist whose work I recognized from book to book. I own every issue he drew of Superboy and the Legion of Super Heroes, Warlord and Starslayer. 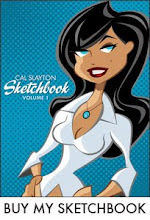 I used to copy his style (and even signature). 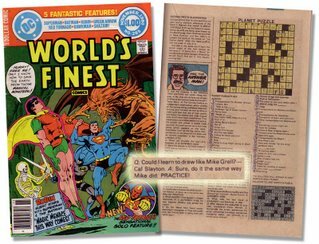 Back in 1980, I actually wrote to "Ask the Answer Man" in DC Comics and naively asked, "How can I learn to draw like Mike Grell?" 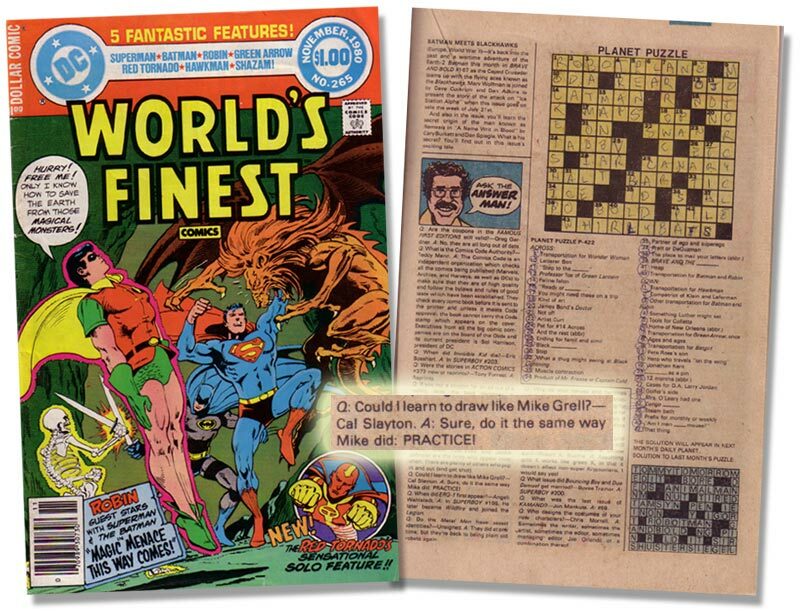 Unfortunately, they printed my question wrong... "Could I learn to draw like Mike Grell". Either way, I'm sure I would've gotten the same answer. (See image below, note my amazing crossword abilities too). I was a guest at the Dallas Comic Con a while back and so was he. I was so psyched to get to meet him. He was very kind and gracious, a really nice guy. I commissioned a Warlord sketch from him, which is amazing (see image above). I actually showed him the issue of World's Finest with my question in it, he got a big laugh out of that. He was shocked at the date and asked how old of was when I wrote that. I told him that I was much older than I looked. When he heard my age he joked that I need to loose some hair and get fat, which I took as a compliment. I was a real treat to meet someone that influenced me so much. It occured to me that comic book artist often have a better chance of meeting their idols than a lot of other professions out there with conventions and all. Anyway, just thought I'd share.